The Great Gatsby is a novel by the American author F.Scott Fitzgerald it is set in Long Island's North Shore and New York City during the summer of 1922. Nick Carraway, a young Midwesterner now living on Long Island, finds himself fascinated by the mysterious past and lavish lifestyle of his neighbor the nouveau riche Jay Gatsby, who each weekend throws lavish parties hosting hundreds of people. Nick receives a formal invitation from Gatsby's butler and attends. The party is wild and fun, but he finds that none of the guests know much about Gatsby and rumors about the man are contradictory. Many have never even met their host, as the parties are open and guests often attend uninvited. 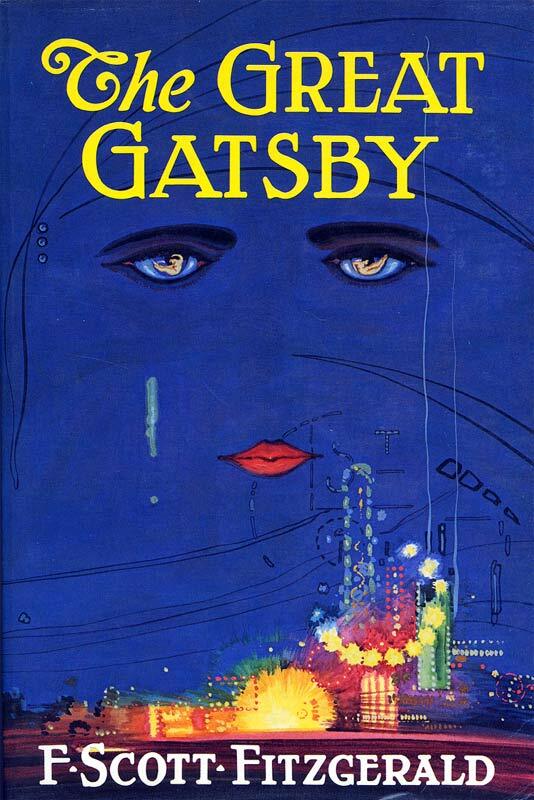 He is drawn into Gatsby's circle, becoming a witness to obsession and tragedy. Daisy is Nick's second cousin once removed; Nick knew of her husband Tom, a celebrated polo player. Their marriage is far from perfect, Tom is having an affair with a woman named Myrtle Wilson. Jordon, a friend of daisy's reveals to Nick that Gatsby fell in love with her before the war and that his lavish parties are his way of trying to win her affection again. This leads to a series of unfortunate events that tell the story of the rich and famous of the 1920's. Jillian did a fabulous job reviewing this classic piece of literature. I must say, I gave the book a 2.5 rating when we started the discussion, I was so confused as to why this book was so famous. I walked away from our meeting thinking the book and it's characters are endlessly fascinating and changed my rating to a 3.5. And that ladies, is why book club is so awesome, well, one of the many reasons. We began our discussion by talking a little bit about the author, F. Scott Fitzgerald. Fitzgerald was born in 1896 in Minnesota and was named after his famous second cousin, three times removed, Francis Scott Key, who wrote the words to the national anthem. Fitzgerald married Zelda in 1920, their marriage was a tangle of jealousy, resentment and acrimony. Scott used their relationship as material in his novels, even lifting snippets from Zelda's diary and assigning them to his fictional heroines. 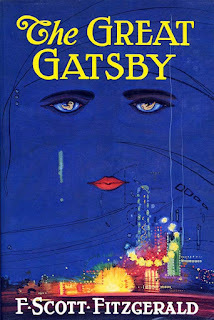 Much of their relationship can be seen in the story of the Great Gatsby, Daisy resembles Zelda while Tom, Gatsby and Nick all have characteristics and habits that Scott himself had. The bulk of our discussion was focused on the characters and their development throughout the story. First, we discussed the narrator, Nick Carraway. In chapter three, Nick states "I am one of the few honest people that I have ever met." Yet, by the end of the book, Jordan Baker decides that this statement itself is a lie, so we discussed the question, is Nick an honest man, or is he as bad as the rest of the characters in the book? We came to the conclusion that while Nick did strive to be an honest man, we thought he wasn't as honest as he made himself out to be. His 'honesty' extends to a certain set of rules, based largely on not wanting to fall in with those he deems of a 'lower order,' whether the distinction is class-based as with Gatsby, or determined by his personal estimation of moral propriety, as with the Buchanans. And in the case with Jordan Baker, it's also a reflection of Nick's reluctance to get too close to anybody who might stick around too long. The passage shows that Nick is flawed more then it shows that he is honest. Next, we discussed the infamous Daisy Buchanan. Almost everyone at the meeting despised her by the end of the book. Like Zelda Fitzgerald, Daisy is in love with money, ease, and material luxury. She is capable of affection (she seems genuinely fond of Nick and occasionally seems to love Gatsby sincerely), but not of sustained loyalty or care. She is indifferent even to her own infant daughter, never discussing her and treating her as an afterthought. In Fitzgerald’s conception of America in the 1920s, Daisy represents the amoral values of the aristocratic East Egg set. We briefly discussed Tom Buchanan. He didn't seem as deep as a character to most of us, we basically concluded that he was an insecure jerk, who was obsessed with himself. He was compared to Gastone from Beauty and the Beast, and that seemed like the perfect comparison. We saved Gatsby for last. Even though he is the title character, he seems to almost have a supporting role instead of being the leading star of the story. Gatsby is contrasted most consistently with Nick. The former, passionate and active, and the latter, sober and reflective, seem to represent two sides of Fitzgerald’s personality. Additionally, whereas Tom is a cold-hearted, aristocratic bully, Gatsby is a loyal and good-hearted man. The last part of our discussion was spent on talking about old money (East Egg) vs. new money (West Egg) and the American Dream. The Great Gatsby is a highly symbolic meditation on 1920s America as a whole, in particular the disintegration of the American dream in an era of unprecedented prosperity and material excess. Fitzgerald portrays the 1920s as an era of decayed social and moral values, evidenced in its overarching cynicism, greed, and empty pursuit of pleasure, epitomized in The Great Gatsby by the opulent parties that Gatsby throws every Saturday night—resulted ultimately in the corruption of the American dream, as the unrestrained desire for money and pleasure surpassed more noble goals. Jillian then posed the question, "Is the American Dream the same today?" After some consideration most everyone answered yes. People today are still striving to be their own person and to make their own money. It was also pointed out that the American Dream, is probably slightly different to everyone. Mindy made the comment that Americans need to remember what the American Dream is and not take it for granted. She said we all need to have the same zeal for it as the foreigners who travel miles and put all their time and energy into achieving their American Dream. It was a fabulous and fascinating discussion and such a enjoyable evening full of fun costumes, good food, and great literature!